since firefox is getting slower each day the developers code. i started using epiphany instead. it has some cool features like the “Smart Bookmarks” which i have configured to be some sites in my toolbar that i can directly enter the search term. in the bottom screenshot you see an example wikipedia search and how it is set up. smart bookmarks are even smarter though, check out some samples they have on the galeon website. 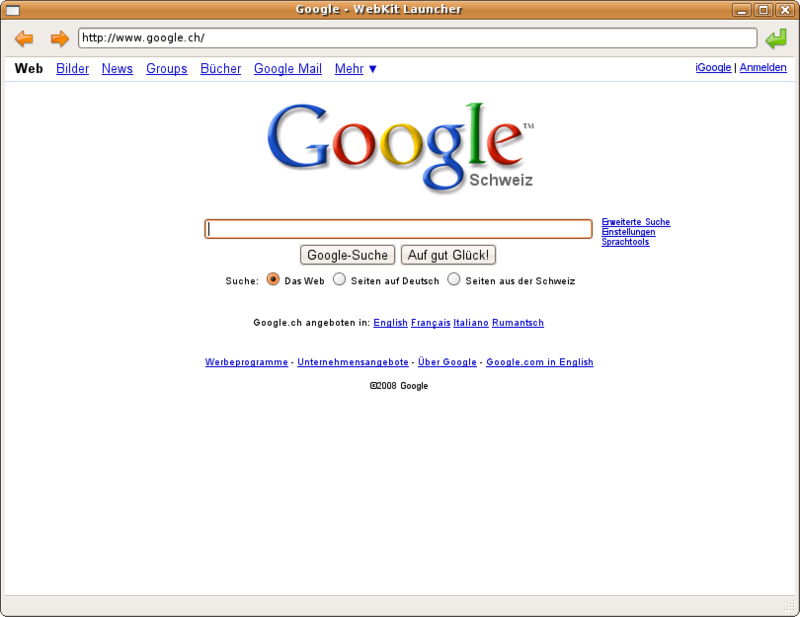 since the gecko engine has gradually made me sicker and sicker i decided to recompile my epiphany browser with webkit. woohoo! so i followed the howto here. after installing libxslt-dev and the gstreamer development packages (libgstreamer-plugins-base0.10-dev and libgstreamer0.10-dev) which solved my dependency problems i compiled WebKit/GTK+ from the svn source with the option –enable-video just for the heck of it. 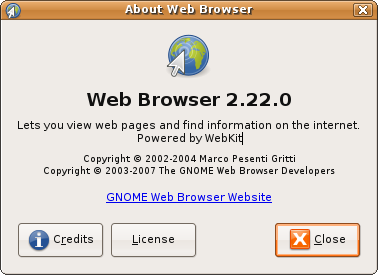 to fix the glib requirement version >= 2.15.6 i just installed glib from the hardy repositories. 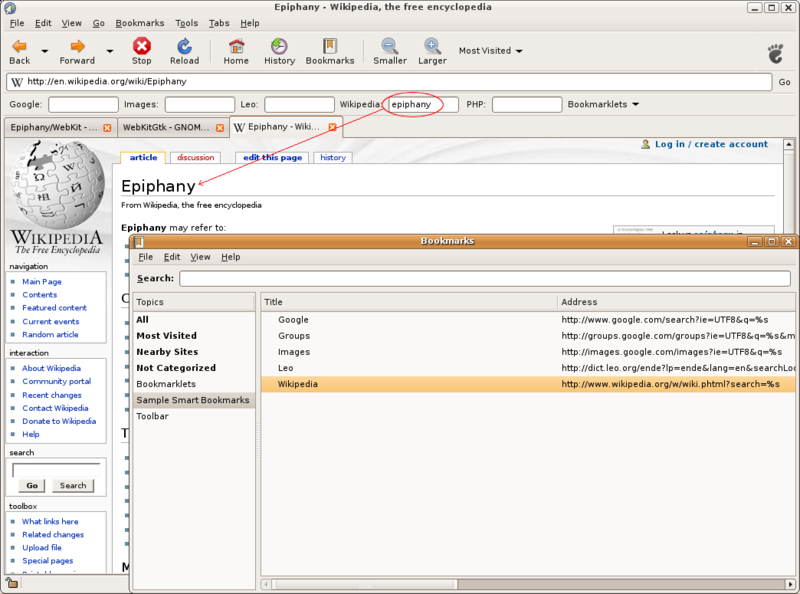 then compiled epiphany with the option –with-engine=webkit. and i’m finishing this post right here with epiphany/webkit. a fun little experiment but it seems it’s just not ready to actually use on a everyday surfing basis!